For the first few decades of the twentieth century the way people enjoyed music was by hearing it played live and in person, either attending professional performances or by singing and playing themselves, usually around a piano or various handheld instruments they’d learned. Because of the popularity of self-performance sheet music was the foundation of the industry with publishers and songwriters earning their livings based almost entirely on the sale of sheet music. 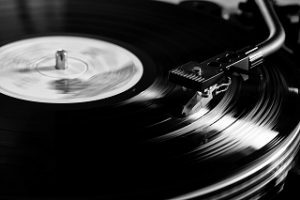 Records had been around since Thomas Edison cracked that particular nut back in 1877 when he invented the phonograph to record and play back sound. Though a breakthrough in technology it was also a dismal failure in terms of quality and he didn’t seem to give it much thought again. But then others pick up on the idea, including Alexander Graham Bell, who when he wasn’t busy inventing the telephone decided to improve upon Edison’s invention by introducing a wax disc instead of the tin foil apparatus that Tom had used. In the midst of this battle of one-upsmanship between legendary inventors came Emil Berliner, a name hardly recognized today, who took the basic concepts of the others but altered it significantly for the gramophone, mainly so he’d be free and clear of Edison’s patents on cylinders. Berliner used discs which produced much better sounding recordings which launched the popular music industry centered around playback of a specific performance. When the two competing ideas were combined – using wax discs on gramophones – the basic concept that held firm for the next century was now in place. In the early 1900’s professional singers got on board with opera legend Enrico Caruso becoming the first recording star and with it the industry got a foothold in the market. Among those making records in the first decade of the 20th Century are some familiar names – Victor (later RCA-Victor) and Columbia – with the material confined mostly to opera and classical, which shows where the market for this novelty was, namely upper class sophisticates. Then for the first, but hardly the last, time the record industry would provide the means for which a style on the outskirts of the mainstream would become rapidly popular when in 1918 Victor recorded jazz, a racy black music (albeit played in this instance by whites of course) which resulted in a national craze over the “new” music with the 1920’s with its corresponding fashion and the surrounding lawlessness in response to prohibition, being dubbed The Jazz Age. The same feat occurred, albeit to a lesser extent, with blues in 1920 when “Crazy Blues” by Mamie Smith became the first black performed record to sell a million copies and in the ensuing years the commercial opportunities for black artists increased dramatically. The first wave of independent record labels were primed to take advantage of this phenomenon after Gennett Records successfully sued the Victor corporation in 1921 which along with Columbia had been fiercely guarding the technology through patent laws, but the ensuing court victory removed Victor’s rights to exclusivity over the method of making lateral cut 78 RPM records. Gennett thrived with recordings by jazz greats King Oliver, Jelly Roll Morton and Louis Armstrong, black artists the majors were still reluctant to put on record, a portend of the schism between the major and independent labels for the next fifty years. But just as this was taking place the rise of radio cut into the phonograph industry as the sound quality of live orchestras playing on radio was far better than the reproduced sounds heard on records. Alexander Graham Bell to the rescue again. Well, not him specifically, as he answered his final long distance telephone call in 1922 requesting his presence in the great hereafter, but rather his company which in 1925 perfected the means with which to record electronically allowing them to capture wider frequencies without much distortion and with that the sound quality of records greatly improved which led to the recording boom over the last half of the decade. Victor (now RCA-Victor after RCA bought the company in 1928) and Columbia were still the dominant companies and later were joined by a popular British label named Decca who established themselves in America in 1934. However the onset of the Great Depression in 1929 had nearly crippled the recording industry as few people had any money to spend on something as frivolous as music when they could barely afford food, rent, heat or clothes. Record sales plummeted, almost all of the thriving independent labels of the 1920’s folded as their audiences were hit hardest in the economic crunch, and as a result the opportunities for the fringe styles all but ended. Jazz had moved into the mainstream by this time so they were spared, but blues dried up and country struggled. Only artists who had across the board appeal were deemed viable by the majors and by the end of the 1930’s radio, an appliance which once purchased required little further investment (unlike buying records), had largely reclaimed the ears of America, broadcasting music that appealed to the broadest tastes. To counter this Decca became the first label to drastically lower their prices (to 35 cents a record, down from 85 before) which helped spur a revival in sales and vaulted them into the category of a major while making their artists such as Bing Crosby household names. The other companies were forced to follow suit and sales across the board began to rise again. Jukeboxes, whose popularity had soared in the thirties thanks to the fact consumers didn’t have to buy a record and something to play it on, but only had to pay a fraction of that to access a public machine to play the song of their choice on demand, hinted that there was still a thriving potential market set to be unleashed if the right set of circumstances would allow for it. The three major labels – RCA-Victor, Columbia and Decca – had a virtual monopoly on the industry in 1941. But in 1942 competition began to spring up everywhere. Some, like Capitol Records, a well-funded venture on the West Coast with ties to the movie industry, sought to compete with the majors on their own terms, recording the same type of artists and material to appeal to the same audiences. Most other start-up companies however saw the quicker means to solvency by aiming their output squarely at the audiences whose tastes were largely ignored by the major companies, which meant blacks and rural whites. These “independent” companies as they became known (or indies for short) described both their lack of financial ties to larger corporations that the majors enjoyed, as well as their entrepreneurship in seeking their own niche in the music industry. The 1940’s saw a record company boom with hundreds of independent labels springing up across the country. Most lasted no more than a couple of years, many not even that, but there were also quite a few that left an indelible mark on the music industry over the ensuing decades, bringing to the national audience not just countless important artists who otherwise might not have had an outlet for their talents, but these labels also helped to popularize entire genres of music, including, of course, being wholly responsible for rock ‘n’ roll. The neglect of the major companies for perceived fringe styles – blues, country, gospel and rock – enabled the indies to attract almost all of the talent in those fields, something they would have been unlikely to do had the majors signed even just the most promising of them to contracts. Many of the independent companies were founded by those who’d either worked as jukebox record distributors or sold records directly in electronics and appliance stores and thus knew the marketplace and what sold to whom, whereas the majors tended to be run by erudite professionals who felt they were supremely qualified to dictate the tastes and trends of the public and promote “quality” music, thereby systematically ignoring music they personally looked down upon. These seemingly minor edges the indies held opened the door for their gradual takeover of the marketplace in a David vs. Goliath styled upset helped by the rapidly changing demographics of America. The post-war marketplace was flush with new luxuries as America was celebrating escaping its bleakest twenty year period with renewed vitality. The Great Depression that held the country in thrall throughout the 1930’s had ended when America entered World War Two, putting the nation back on solid economic footing. After the war the GI Bill had put young returning vets to school enabling them to get better paying jobs in a rapidly expanding white collar workforce fueled by a wave of major technological advances. The resulting rise in income led to more people owning homes away from the city – and consequently away from the nightclubs – which meant listening to records increasingly replaced going out to see bands play live as the primary way to hear music. Meanwhile black citizens had seen their first widespread cultural and financial gains take place as families left the oppressive southern climate for better jobs up north, taking with them musical tastes that previously had been confined to specific regions, spreading these sounds – and the market for those sounds on record – nationwide. Lastly, everybody’s families grew exponentially with a baby boom and as these children aged their interests turned to music specifically designed to reach them. With unprecedented discretionary income at their disposal thanks to the booming economy teenagers increasingly dictated the trends in popular music by purchasing records at a far greater rate than their parents, propelling rock ‘n’ roll into an ever-more dominant position in the marketplace. 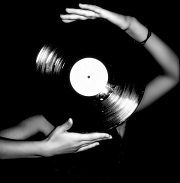 The record industry diversified by demand, with outlets to fill the needs created to cover every possible taste. The debut of the 33 RPM LP in 1948 allowed for more music to fit on one record which first took hold with adult pop and classical audiences, while the wartime invention of vinyl records led to a gradual replacement of the brittle 78 RPM records and the introduction a year later of the 45 RPM single which became the means with which rock would eventually take over. 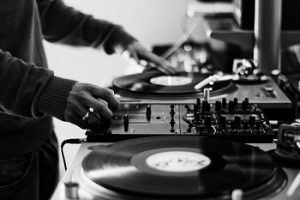 Record companies large and small continued to emerge at a fantastic rate in this now booming market, each one attempting to do the same thing which was to make music that reached a fervent audience. The audiences might be as different as could be, and the means with which each label strove to find their niche may be just as unique, but ultimately it was the consumer who dictated what music these companies must produce in order to succeed, which is the way it always should be. More power to the people after all.